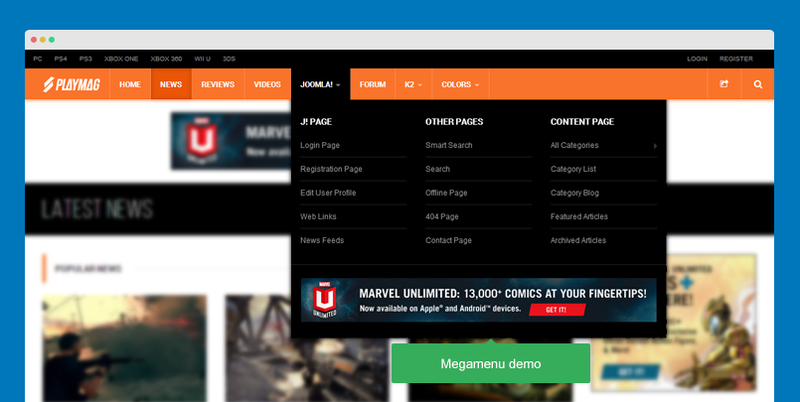 JA Playmag template supports 3 menu systems: Megamenu, Off-canvas sidebar and default Bootstrap menu on small screens. 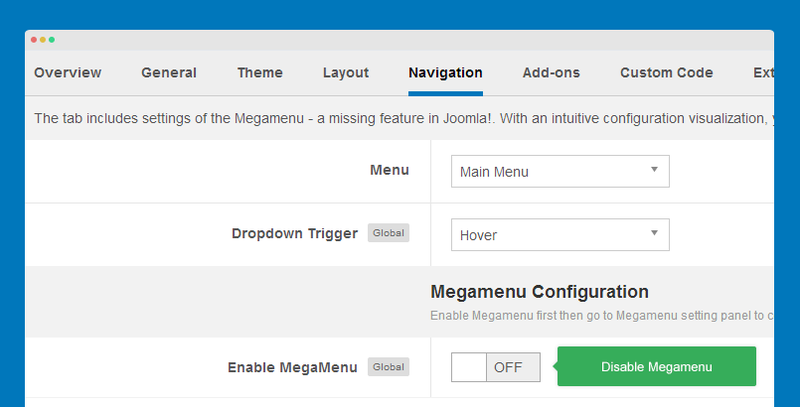 When Megamenu is disabled, the template will use Joomla dropdown menu. 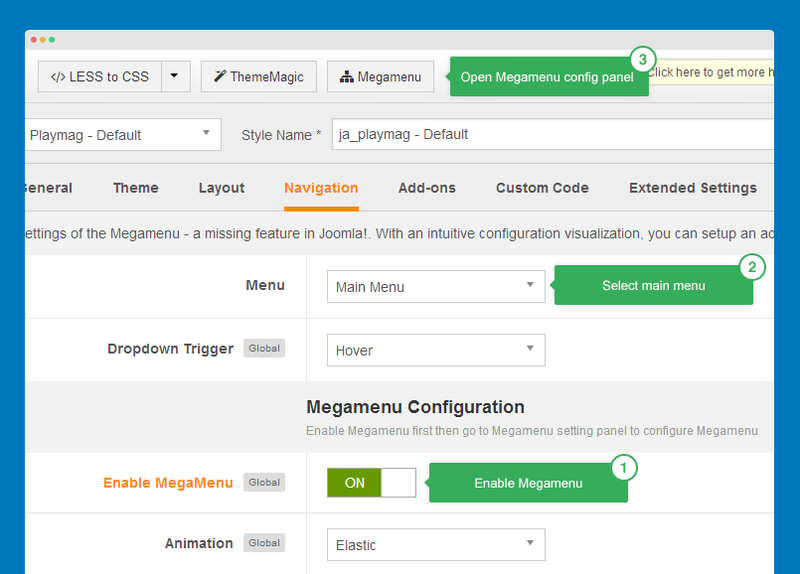 To disable Megamenu, open template style manager, in the "Navigation" tab, disable "Megamenu" option. 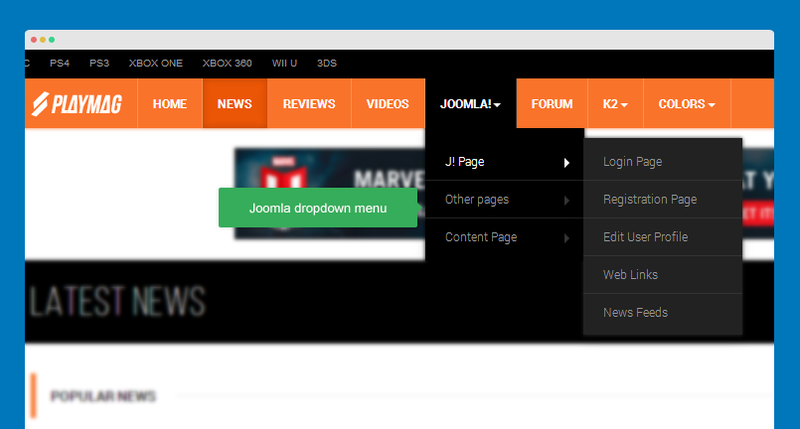 Menu is auto switched to Joomla dropdown menu. The image below is a sample of megamenu menu in JA Playmag demo. First, enable Megamenu, select the menu that you want to display as main menu then hit the "Megamenu" button on the top bar to open Megamenu configuration panel. 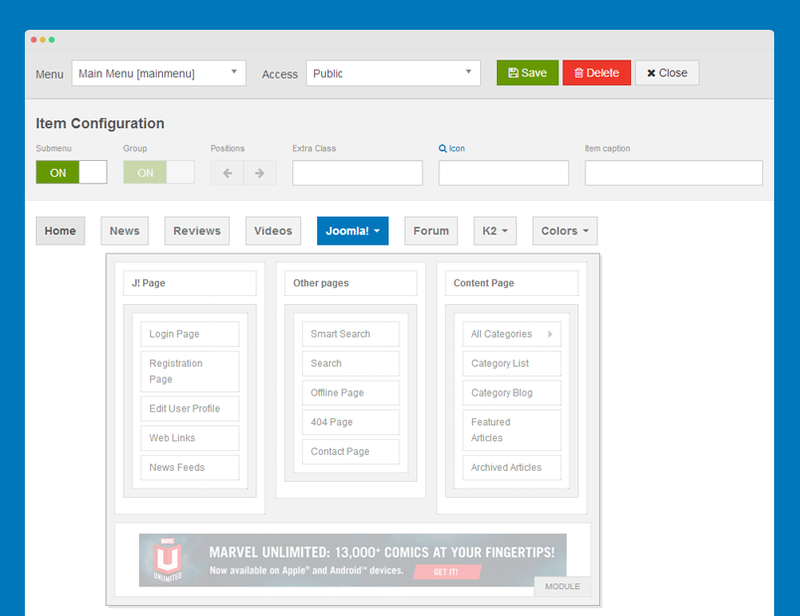 In the configuration panel of Megamenu, select menu item/submenu/column/row to configure. Show you how to add style for a menu item, sub-menu, column or row in Megamenu. 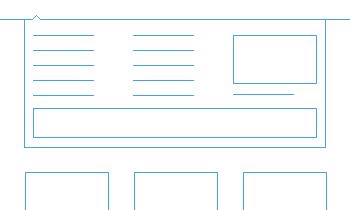 Show you how to add icon for menu item in Megamenu: Font Awesome icons and Bootstrap icons. Please note that, Megamenu only works on Large and medium responsive layouts. 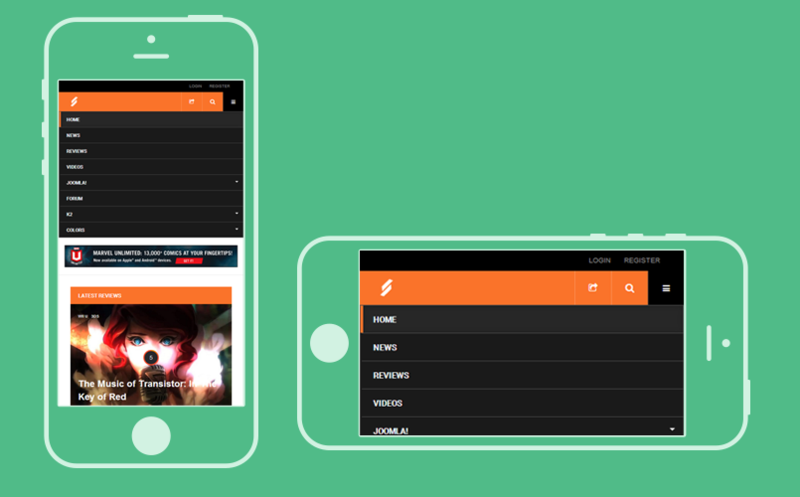 In Small and Extra small layout, it uses Off-canvas or Default Bootstrap collapsed navigation. Off-canvas sidebar is a position that you can load any module to, not only Menu. 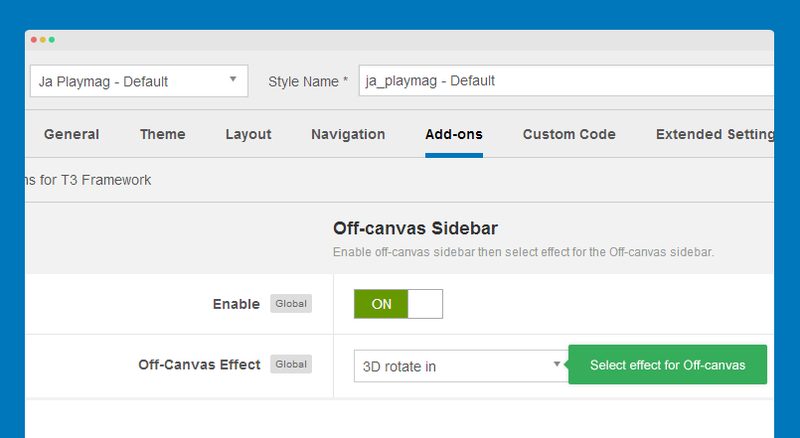 In JA Playmag demo, Off-canvas sidebar is used as Menu system on Small and Extra small layouts. Follow the steps below to have off-canvas sidebar as Demo. From your back-end, go to: Extensions >> Module Manager and hit the "New" button to create new module. Next, please select "Menu" module type. 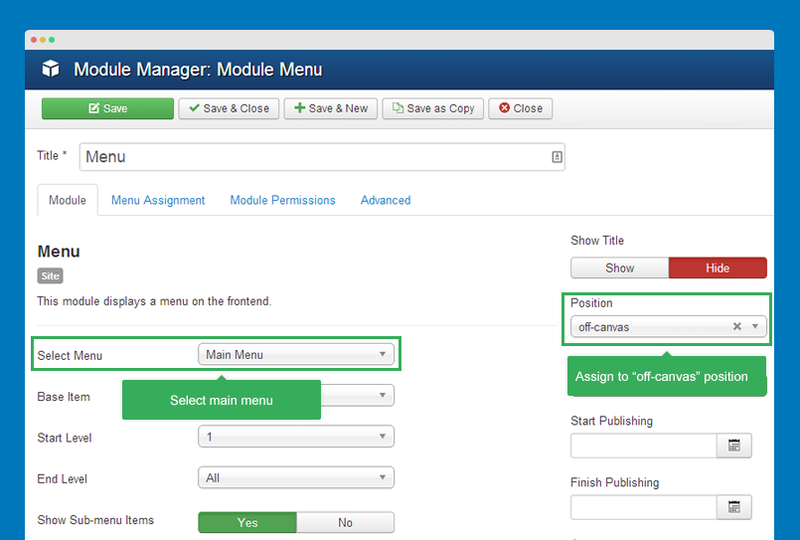 Next, configure the module, assign it to position "off-canvas". 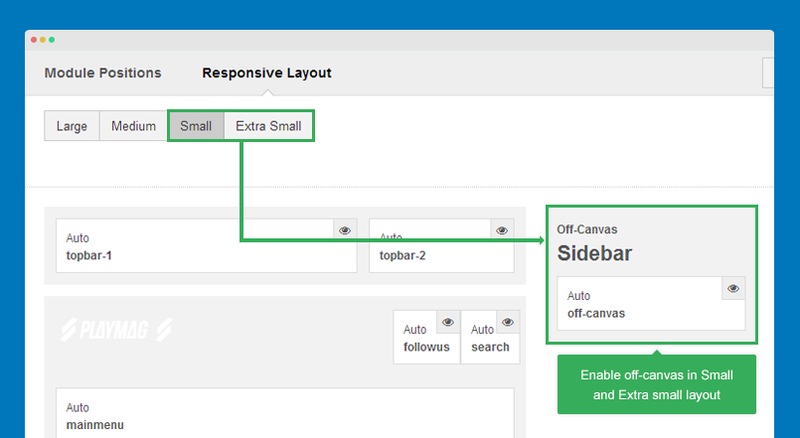 Open template style setting panel you want to configure off-canvas. 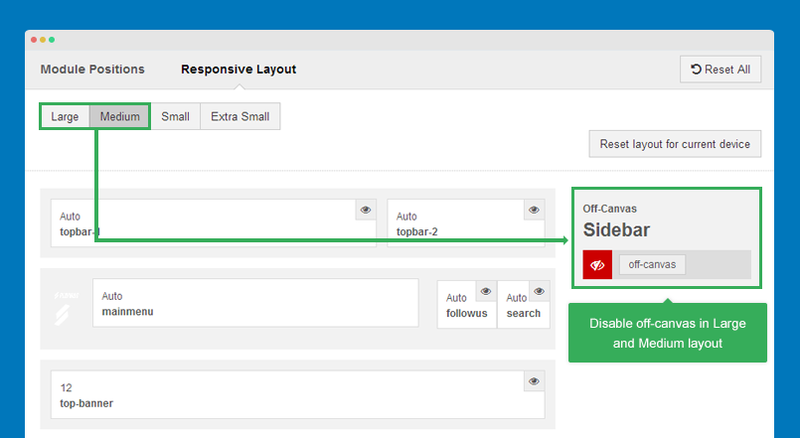 In the Layout tab, select Responsive layout, disable off-canvas sidebar in Large and Medium layouts. Enable off-canvas sidebar in Small and Extra small layout. 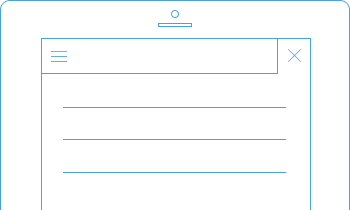 The Collapse navigation for small screens is the menu system on Small and Extra small layout, it's dropdown menu based on Bootstrap menu style. If you don't disable the Collapse navigation for small screens, you will have 2 menu sytems on Small and Extra small layout. T3 supports multiple effects for Off-canvas sidebar. Open the "Add-ons" tab, enable Off-canvas then select the effect you want for Off-canvas sidebar. 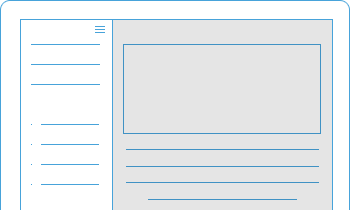 The style of off-canvas sidebar is in the templates/ja_playmag/less/off-canvas.less file. You can also change icon for Off-canvas sidebar, change its position (from right to left). Now, to change icon of the sidebar, just change the icon class <i class="fa fa-bars"></i> to any icon you want. JA Playmag template supports Font Awesome 4 so you can use any Font Awesome 4 icon class. If you don't want Off-canvas sidebar as menu system on Small and Extra small layout, you can use Collapse navigation for small screens instead of. Here is the demo of Collapse navigation for small screens on JA Playmag demo. We should disable the Off-canvas sidebar as we don't want to duplicate menu system on Small and Extra small layout. Open the "Add-ons" tab then disable the Off-canvas option. Open the "Navigation" setting panel then enable Collapse navigation for small screens option. Working in progress, please come back later.